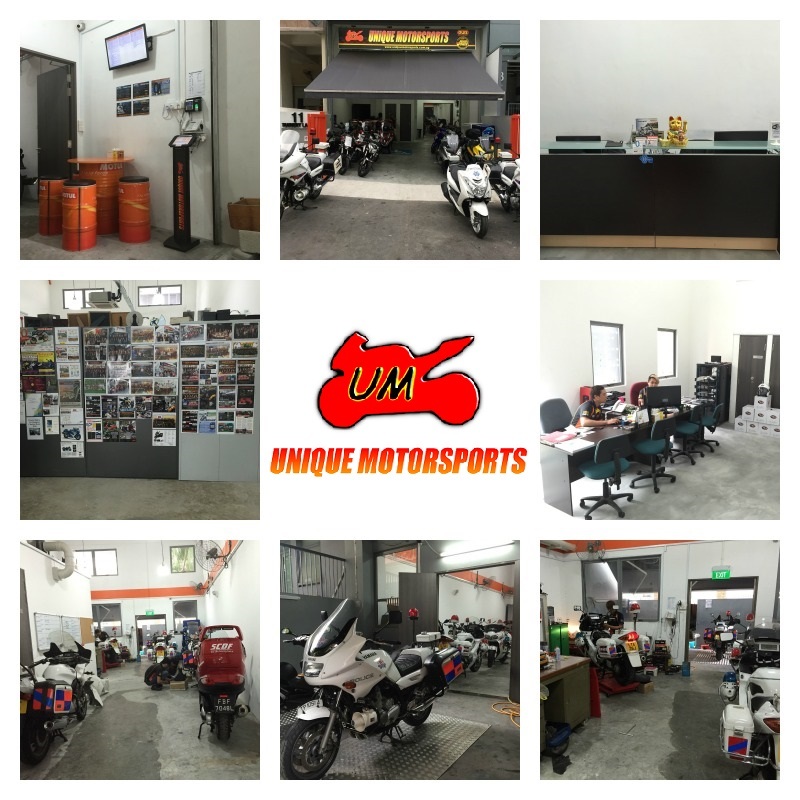 Unique Motorsports Pte Ltd was established in Singapore in 2006 and strives to be the motorcycle company of choice, providing motorcyclists with quality products and services at competitive pricing while creating a safe and clean working environment for all employees. 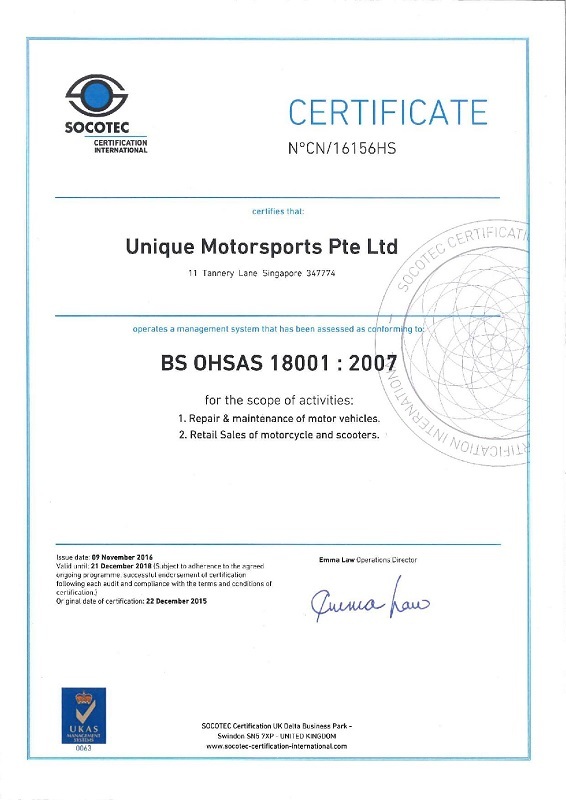 - Set up in 2006. 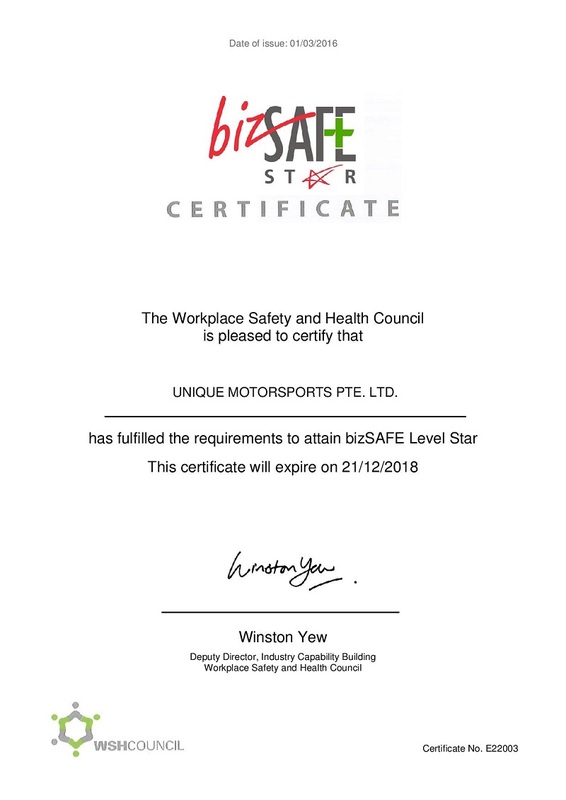 - Services provided: Buy/Sell motorcycles (including fitting of accessories eg blinker/siren/LEDs etc), Rental & Leasing of motorcycles (both individuals & corporate, eg Transnational, Pizza Hut, Certis Cisco, Sarpinos, Tower Transit etc), Repair jobs (SCDF, Traffic Police etc), Fleet Maintenance (Certis Cisco, Ramky Cleantech, LTA, Singapore Post, Golden Pilllow 933 etc). 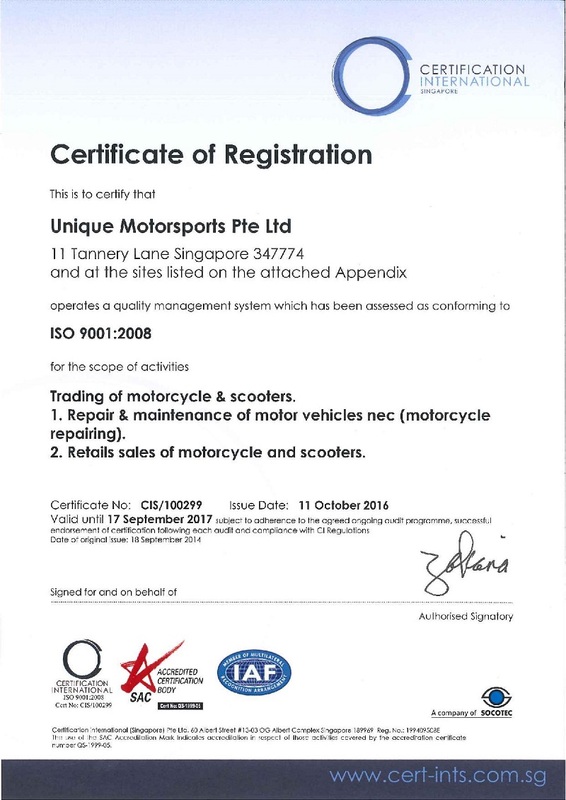 Basically, we are doing almost everything that are related to motorcycles/scooters. 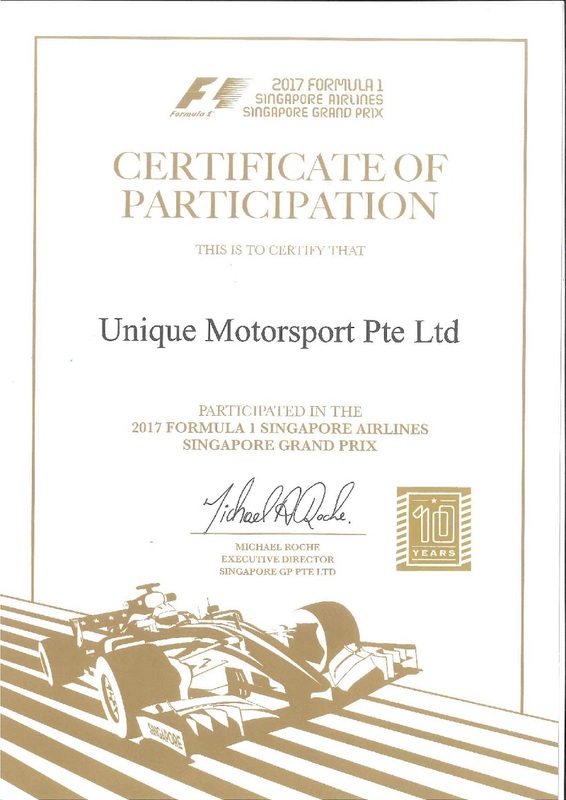 Dec 2015: Unique Motorsports Head Office moved to 11 Tannery Lane Singapore 347774. 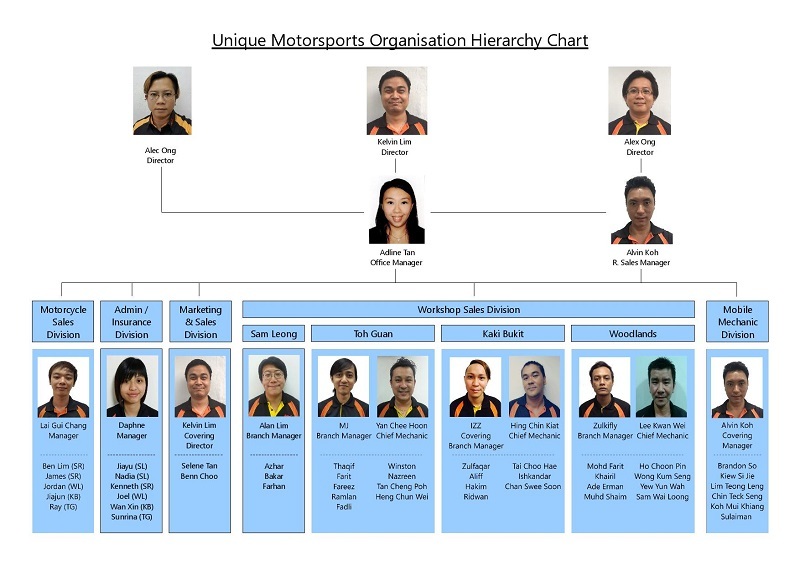 Participated in Magdaco 32nd Annivesary Ride to Batu Pahat (28-29 Nov 2014). 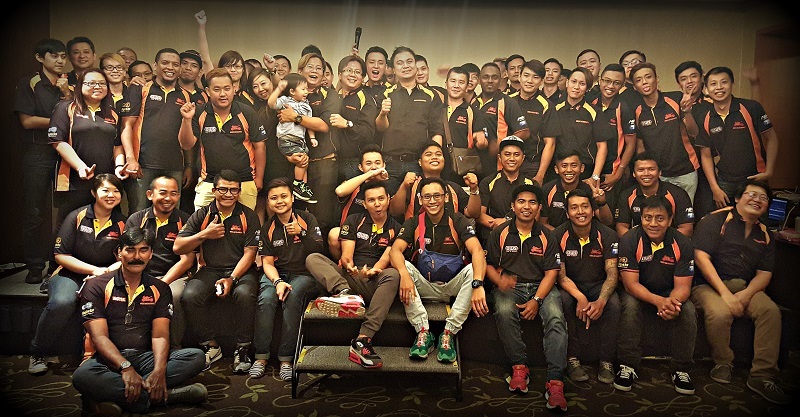 Charity proceed Pertubuhan Perkhidmatan Intervensi Awal (PPIA). 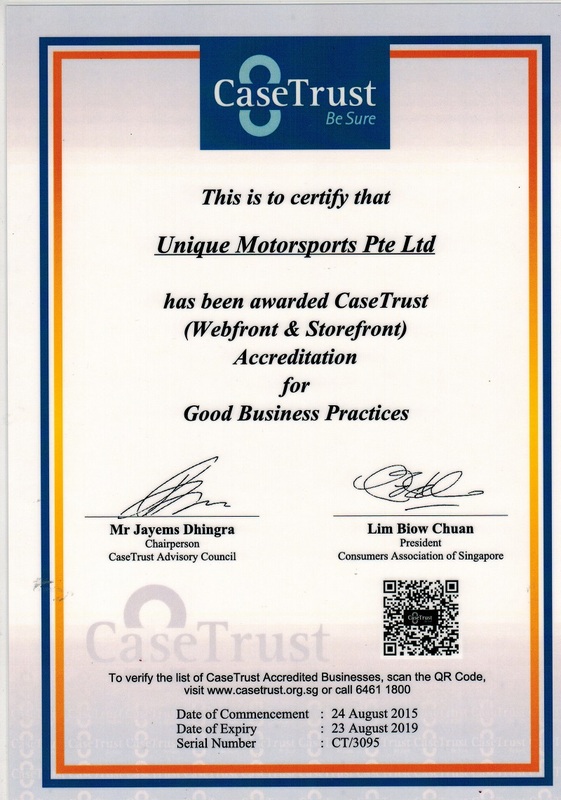 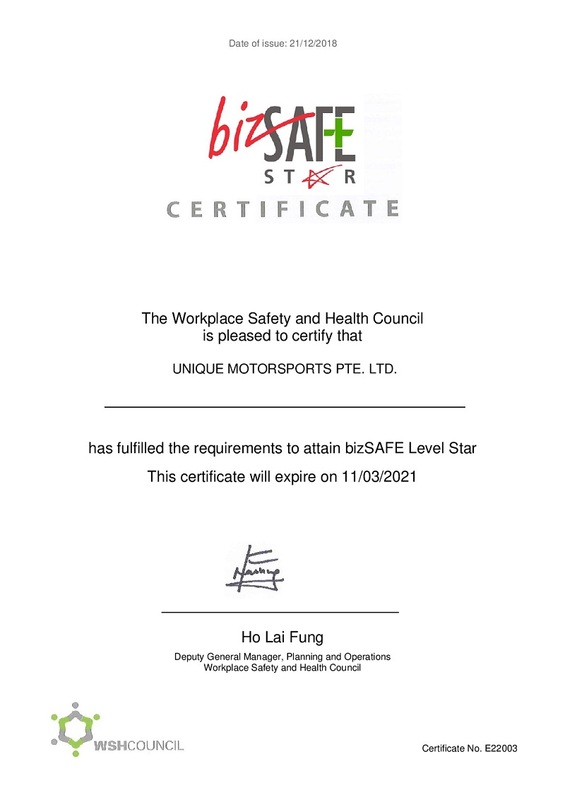 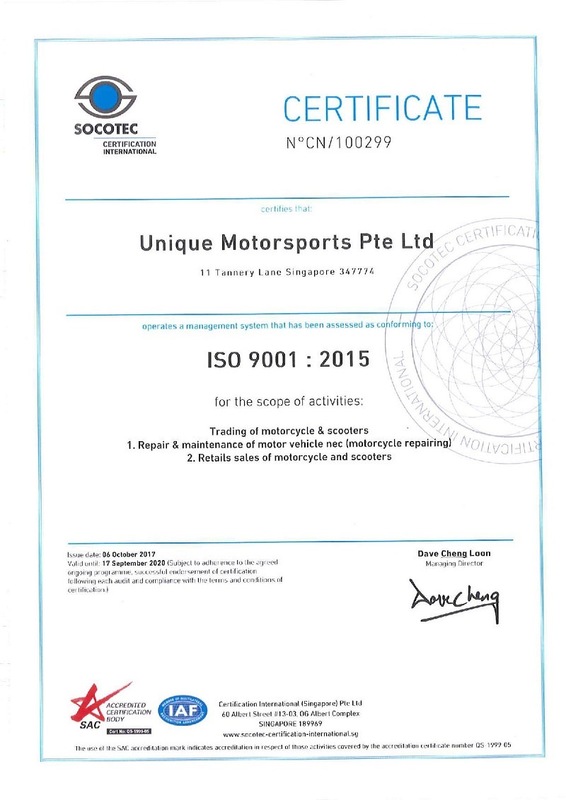 Unique Motorsports achieved ISO 9001:2008 certification in September 2014. 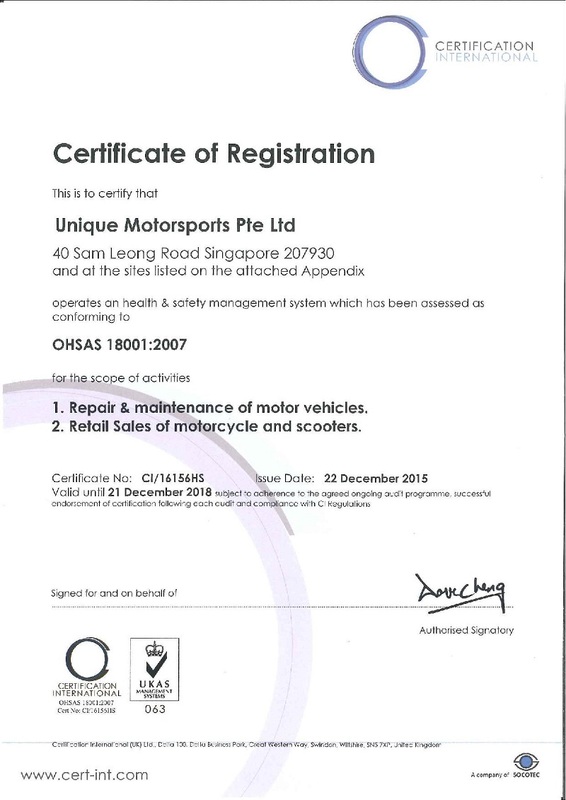 Unique Motorsports launched Octopus System in September 2013. 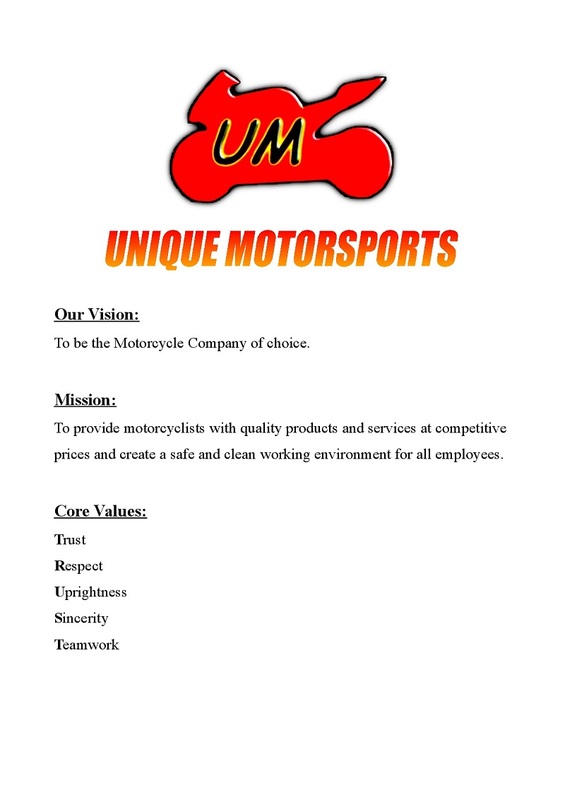 Octopus - Website Integration / Ipad Job Order / POS invoicing / Live Inventory updates across all outlets. 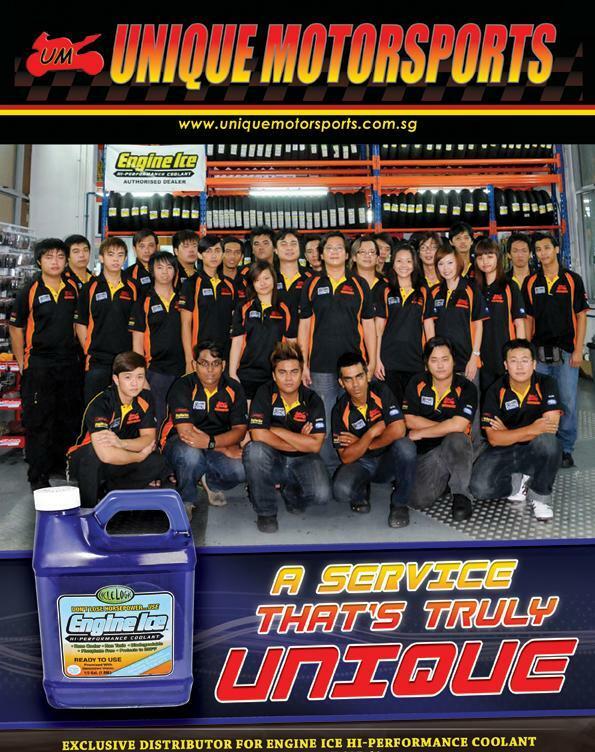 OWS Annual Charity Care Fund Raising 2009 In partnership with The Straits Times School Pocket Money Fund. 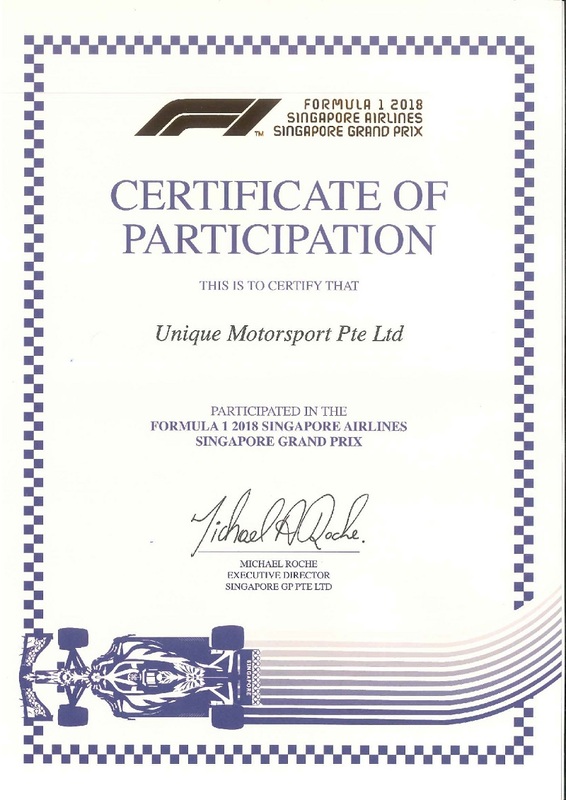 Unique Motorsports 1st workshop in Eunos in 2006.